Today I have a fun card to share with you, this can be given to your dog lover friends and family! Everyone loves a puppy or fur baby and the stained glass window is so much fun to make. 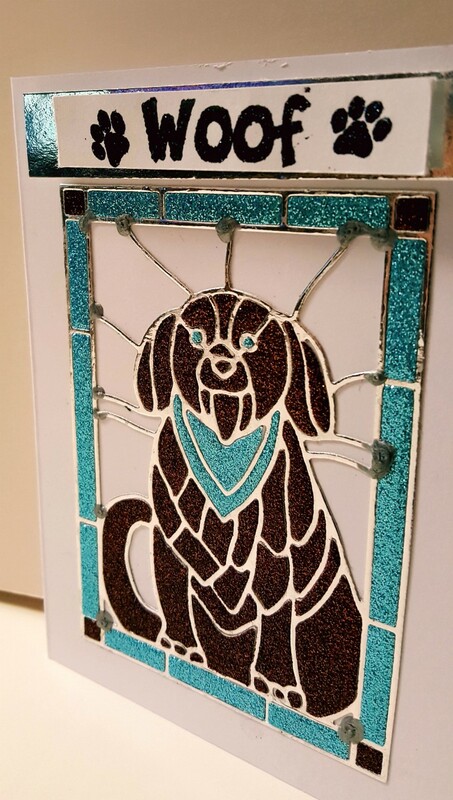 I used the Dog Stained Glass Die for this card. To make this card I I used a white card base. You will be cutting out 3 die cuts with this die. The base will be a cut from Silver Foil card stock, and 2 will be from 2 different colors of glitter card stock. Remove all the pieces from the Silver die cut and adhere it to your card base as shown. When you cut the next 2 be sure to leave them in tact as you will be using the pieces to inlay into the Silver base. 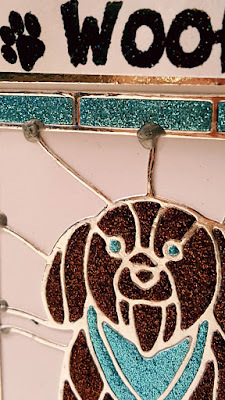 Using a poker punch out the blue pieces around the edges and adhere them to the same place in the Silver Base. Continue until the card is finished leaving a white background for contrast. 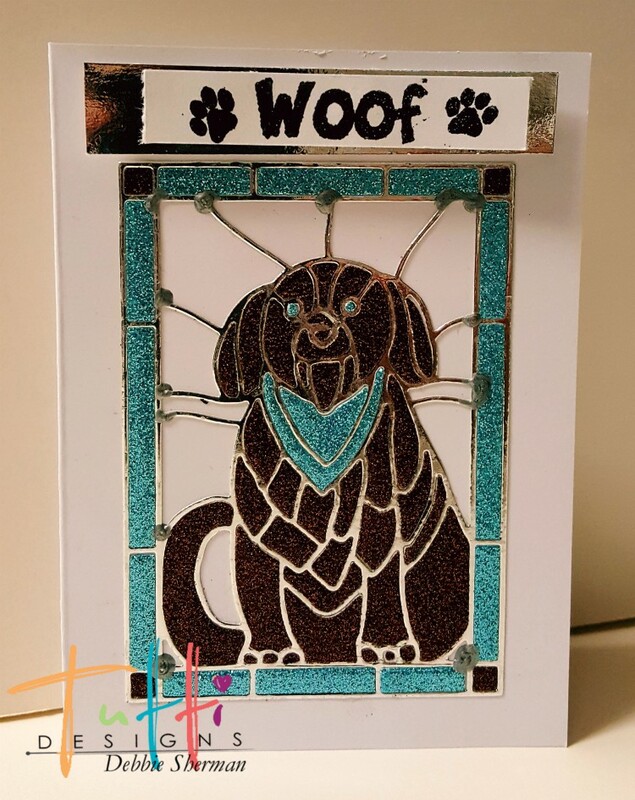 When you're finished adding all the pieces, Add a sentiment to the top of the card. I used Black embossing powder to emboss my sentiment. For a finishing touch and this is optional, I wanted to give it a soldered look so I added dots of Imagine Crafts Irresistible texture spray in Silver on random spots on the frame. This fun card is ready to send. Cute card! Great colors on this!